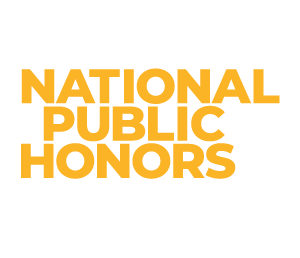 Fighting out of the navy blue (and white) corner is the national public honors college of Maryland. Coming in strong with 1,533 students, SMCM offers Bachelor’s degrees in the liberal arts and a Master of Arts in Teaching, ready to school its rivals. Currently in the red (and blue) corner, a private Catholic Marianist university in Ohio. With 10,899 students, Bachelor’s, Master’s, Doctorate programs, and a law school, will UD crush the opposition beyond a reasonable doubt? SMCM: founded in 1840, SMCM is the older (and wiser?) competitor. UD: clocking in at 1850, UD is the younger (and reckless?) contender. Results: As they say, age before beauty. Another cool fact about 1840: it was the year Claude Monet was born. On the other hand, 1850 was the year the London Zoo brought in its first hippopotamus (following a complex chain of events, ultimately leading to the birth of adorable Fiona the hippo at the Cincinnati Zoo!). Hmmmm…Monet vs. hippos. I can guess who would win in a fight, but I’ve never seen a hippo paint a pond filled with water lilies. SMCM: The Library, Archives, and Media Center is home to Margaret Brent–that is, the doll version. Brent was credited with keeping the young but full of drama St. Mary’s City alive (it was in its tween years) with her savvy as executor of the governor’s estate. An unmarried woman who immigrated to colonial Maryland in the late 1630s, she was also the first woman to petition the court for the right to vote, though she was denied (see “History — patriarchy” for more information). Fun fact: Margaret Brent (the person, not the doll) has a building on campus, the college’s De Soura Brent Scholars program, and a local middle school named after her. UD: Roesch Library houses the (in)famous Pauline A. Money nun doll collection. Representing habits of religious orders around the world, the nun dolls also serve as a reminder that the 6th floor silent policy will be enforced…by library staff who may politely suggest a different floor for your group work. They are strongly suspected to move on their own late at night. Results: Strength in numbers falls in the nun dolls’ favor; however, their commitment to non-violence may hold them back (in mortal if not spiritual matters). Either way, I wouldn’t want to meet any of these dolls down a dark alley. SMCM: in 1924, a fire destroyed the Main Building on campus and most of the college’s records. The fire started after an overfilled boiler exploded; as far as we know, this is the school’s only connection to the events in The Shining. The students of SMCM lived in temporary housing until 1925, when a new building–now known as Calvert Hall–was finished. Results: The loss of historically important records, damage to property, and fear yield no real winners here. The 1920s were challenging years on both campuses, yet the communities endured, demonstrating their resilience through hardship. *SMCM also experienced a great deal of anti-Catholic sentiments as the Know Nothing party gained popularity in the 1850s. During this period, a principal and teacher were fired for selling an anti-Catholic book, The School-girl in France, or, The Snares of Popery. SMCM mascot: Solomon the Seahawk, osprey. Locally, Solomons is a tourist spot in Maryland named for Isaac Solomon, cannery owner/operator and inventor of a speedy method for canning food. UD mascot: Rudy Flyer, human. Adopted as the school’s mascot in honor of the Wright B. Flyer, invented in the First in Flight city of Dayton (don’t @ me, North Carolina). Results: Based on punning alone, I don’t know of any mascot that beats rUDy Flyer. However, I have to wonder whether Rudy’s ever-present aviator goggles hide a sinister secret. Both mascots are creatures frequently found in the sky, and I like to believe they would coexist peacefully. Solomon could share his fish catches with Rudy, and Rudy could provide a perch on the Wright B. Flyer when Solomon’s wings get tired. As you may have suspected by now, we think both SMCM and UD are great, whether they are “St. Mary’s” schools today or in the past. Let us be united in the ways our histories parallel and enjoy that somehow the libraries at both schools have doll collections. Of course, we’re more than willing to hear dissenting opinions on this topic. Who do you think wins St. Mary’s Smackdown 2018? Our friendly rivals at the University of Dayton Libraries have posted this piece on their blog here. Fair Use is like a muscle; unused, it atrophies, while exercise makes it grow. February 27th marks the end of Fair Use Week, which makes this post a little late to the party. Despite my tardiness, I still think this event merits mention. Like so many other issues, copyright is likely something we’re all vaguely aware of hanging around in the distance alongside “the cloud,” “big data,” and other buzzwords we hear on a regular basis but will never admit we don’t fully understand. Somewhere way beyond this mythical Realm of Copyright is Fair Use. It’s likely in a shed, out in the middle of nowhere, where only teachers and college professors venture to visit from time to time. Before I get totally lost in my painful mixed metaphors, let’s take a minute to learn a little more about Fair Use. the effect of your use on the market for the original. Fair Use is rarely clear-cut, and many artists, educators, writers, and filmmakers refrain from using any copyrighted materials in their work or classrooms for fear of copyright infringement. The Association of Research Libraries (ARL) is but one of many organizations that are trying to change that. This year, between Feb. 23 and the 27th, ARL is sponsoring (or sponsored, depending on when you read this) Fair Use Week, an annual celebration of the Doctrine of Fair Use. A very disturbing discovery has been made. The software used by the St. Mary’s library, University System of Maryland and Affiliated Institutions (USMAI) libraries, and countless other academic and public libraries to lend ebooks is knowingly violating users’ privacy. As documented in Ars Technica, Adobe Digital Editions tracks and compiles data on which ebooks users download and read, and exactly what each user does with those books. Worse yet, Adobe is sending that information to its servers in plain text, using unencrypted channels, so just about anyone could access that information. Nate Hoffelder of The Digital Reader made the discovery on October 6, 2014, but the violation is believed to have started with the release of Adobe Digital Editions 4.0 in early September. Adobe Digital Editions is used by many libraries as a PDF reader for ebook lending to control the digital rights management (DRM) on all borrowed ebooks. This software is essentially what “returns” a borrowed ebook when the loan expires by removing it from a borrower’s computer. Most ebook publishers require a DRM as part of the licensing or sales agreement to ensure intellectual property rights are not violated by end users. In response to ALA’s request for information, Adobe reports they “expect an update to be available no later than the week of October 20” in terms of transmission of reader data. Here at St. Mary’s, we will be keeping a close eye on the situation. Adobe made available a software update on Friday, October 24th which includes an encryption mechanism so all user data gathered by and sent to Adobe’s servers is no longer transmitted in plain text. ADE users can download the update (and read Adobe’s privacy statement) here. The American Library Association issued a statement on October 27, 2014 and Nate Hoffelder of The Digital Reader published an update on the privacy breach on October 23rd. One particular example from my interviews got me thinking about how people recall their memories. I was interviewing a 1974 graduate of the College who had mentioned that one year for St. Patrick’s Day, he and some friends had dyed St. John’s Pond bright green using the same environmentally-friendly dye that is often used to track currents in bodies of water. Several other alumni from that same era vividly recalled the same incident happening as well. There were a few alumni, however, who not only could not recall such a prank occurring but they also assured me that something like that would not have happened back then. Whether it was because of the newer surge of environmental awareness of the 1970s or the fact that they claimed they would have remembered such a visible prank, the strongly opposing answers surprised me. But this instance made me realize that the information I’ve received about the various landmarks and traditions of campus has heavily relied on how people remember their time at St. Mary’s. While some people had vivid memories of this certain specific occurrence, others relied on their characterizations of their St. Mary’s experience to explain their absence of memory. In other words, it seems like the attitudes and values of the interviewees shape their concrete memories. 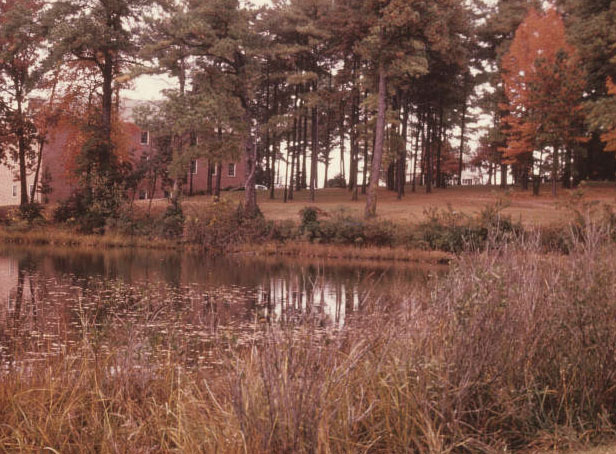 For example, one alum characterized St. Mary’s students in the 1970s as environmentally conscious, meaning they would not have engaged in such behavior as to dye the pond green for a laugh or to celebrate a holiday. Other alums recall them being very connected to the campus and student life, therefore they would not have missed such an occurrence. This phenomenon occurred several times throughout my interviews, which was an important lesson for me to have learned while learning to conduct oral histories. This is not just specific to St. Mary’s either; it can be applied to any oral history project. Next week, for the last of three Blog posts, I will write about interviewing former college presidents Joe Urgo and J. Margaret “Maggie” O’Brien. This post will also have a link to the interview transcripts. This is my last post to Beyond the Bookshelves as Director of the Library and Media Center at SMCM. At the end of the month I begin a journey north to New Hampshire where I will start work as Dean of Mason Library at Keene State College. After 22 years here in Maryland I have been asked many times why I am making the change. This morning my view of the St. Mary’s River is obscured by the lush green of the trees outside my window. I won’t be here in the fall when the leaves fall and the vista changes. Or to see the next step in slowly reducing our shelving so we can create more flexible spaces for our students. Or to look up from my desk to see a student coming through to ask for help with a project, to ask if we can let her display artwork, or want to know why it’s so cold/hot/noisy in the library. So I am packing up, doing my own version of deaccessioning, and feeling the same mixture of excitement and terror as the other graduates of the class of 2014. Why move to a new position now at this stage in my career with retirement still double digits away, but within sight? Why leave an amazing library, even more amazing colleagues, and this beautiful place? Well, I’ll admit that there are some parts of my job I wouldn’t mind doing a bit less of. I still have a heavy teaching load and don’t think I am devoting enough time to being a really good teacher. I don’t want to give it up altogether, but doing less might help me teach better and give me time for other things like that research project which I have been trying to work on for the last couple of years. And I’ll admit I am a bit relieved that I won’t have to upgrade all of my LibGuides to the new version. New leadership in the St. Mary’s Library will build on the strong foundation we have, on the traditions and culture of the campus and the library. And a new leader will participate in advocating for the continued transformation of the library. And I am guessing that she/he will help move the library forward in ways that I might not even think of. I will have the opportunity to learn the traditions of a new library and campus, and to participate in building on them and envisioning transformation for the future. New challenges will push me to change, to think in new ways about what we do and why it is so important. Even as I write this and look around at the boxes in my office I realize how much I will miss this place where I really became a librarian. I hope I will make the SMCM library faculty and staff proud. I will be watching to see what happens next. I’ll be reading the blog. And I will be getting to know and love a new place which will help me become an even better librarian. Depending on your personal news filter bubble, you may or may not have heard the phrase “net neutrality” discussed in the news quite a bit lately. If you don’t think of yourself as a “tech-type,” you may have been tempted to ignore these stories. “What impact could they have on my day-to-day life,” you might have asked yourself? The answer is, quite a lot actually. At the risk of sounding trite, I think it’s worth restating just how much our daily lives revolve around our access to the Internet. When the campus network is down we wonder what work we’re supposed to get done all day. When Facebook or Twitter crashes we’re left unconnected from our friends and families. Many of us (myself included) have cancelled all cable access and rely on streaming video over the internet for our news and entertainment. Although there may be only a small portion of the web that we each call “home”–those websites and apps we visit and use on a daily basis–we all assume that by virtue of having Internet access we technically have equal access to all information we might ever want online. This has never really been true, but if the push for net neutrality fails, this will dramatically impact the way we gain access to content online. In plain language (thank you Electronic Frontier Foundation), net neutrality is “the idea that Internet service providers (ISPs) should treat all data that travels over their networks equally.” Without it, cable and DSL companies would be able to provide faster connections to websites and services that pay for this improved access. Great, you may be thinking. Then maybe when I try to watch Netflix on a Saturday night it will stop buffering in the middle of an Orange is the New Black episode. Privileging access to some content over others means that the ISPs (Comcast, Verizon, AT&T, etc.) have the real power over your life online. If Comcast and Amazon strike a deal for faster access to their streaming video content you might find yourself out of luck if you’re trying to access HuluPlus. More importantly, what happens to start-ups, non-profits, and educational institutions (like libraries or non-profit online education programs) that don’t have the kind of funding that private enterprises do to guarantee that their content is privileged online? Accessing their content will be slower, more difficult, and not as easy as it is now. The FCC would require ISPs to provide a basic level of internet service, then they could charge businesses to deliver their content faster. Internet access would be re-classified as a public utility, which would give the FCC greater regulatory power to ensure net neutrality. Naturally, librarians are big net neutrality proponents, as are the folks at the ACLU, Electronic Frontier Foundation, but also, perhaps not unexpectedly, artists and musicians who rely on the Internet to get their content out to the masses and build a fan base. The internet giants aren’t staying silent either. Facebook, Netflix, and Amazon all have made an official statement in favor of net neutrality as have 150 other internet companies. It simply isn’t in their business interest to pay more to deliver their content. The next time NPR has a story on net neutrality, turn it up. It’s worth a listen. Perhaps some of you have been following, or at least heard, the recent news out of Northern Ireland, where Sinn Fein leader Gerry Adams was recently questioned over the 1972 still-unsolved kidnapping and murder of Jean McConville during the Troubles – a 30+ year period of conflict in Northern Ireland which lasted from the 1960’s through most of the 1990’s (you can read more about it here). The current situation involving Gerry Adams is described in this New York Times article, and it is a story that should be of interest to many people, including historians, archivists, political scientists, lawyers, and of course, librarians. This situation raises intriguing questions about academic freedom. The tapes were made under a promise of confidentiality – “absolute secrecy” as the NYT put it – but that obviously hasn’t been how things panned out. The reason why, though, is complex and likely unanswerable. Did the researchers at Boston College make promises they couldn’t keep? Or did their lawyers botch it by not properly vetting the agreements between the interviewees and researchers? Did Boston College betray the trust and agreements; did they not put up enough of a fight against the subpoena? Or did one of the researchers err by publishing a book based on some of the interviews when so many people involved are still alive? A case could be made for all of these viewpoints. As I said, the potential implications for academic freedom are complex and this case has been followed for several years by many in higher education. Now, three years later, a precedent has been set that academic freedom is not all-encompassing. It remains to be seen how much of a chilling effect this has on future research endeavors, but you can be sure it will have some thinking twice about participating in projects like this. Earlier this semester, the SMCM Ethics Bowl team traveled to Florida to compete in the national finals. Over thirty teams qualified and we had some very formidable opponents. This is the second year in a row that a question about libraries has been among the cases that each team has to prepare. This year the case was titled “Open Exce$$,” and it was all about the Open Access movement. The two team members tasked with preparing the case arranged to meet with me. “So,” I asked, “do you know what open access is? “Sure – all those articles we can access online.” Not exactly, I explained. “Open access is the free, immediate, online availability of research articles coupled with the rights to use these articles fully in the digital environment.” Open access textbooks are also included. That was followed by several conversations about academic journals, publishers, prices, and access. I reminded the students that their access to pretty much all of the licensed content we provide will go away after they graduate. We talked about limits to access at colleges with even fewer resources than we have, and in places around the world where students and libraries cannot afford subscription and license costs. And we talked about how costs shift. The case study the students worked on focused some attention on the author fees that many open access publishers require. Let’s face it, publishing anything requires resources (human and financial). The Ethics Bowl case highlighted the problem of “predatory publishers.” In order to help them learn more about how complex this all is, I encouraged them make good use of what is one of the most important sources of information about Open Access, a web site created by Peter Suber. It occurred to me early in our conversations that students, especially undergraduates, might not really feel as if all this matters much to them. After all, those JSTOR articles pop up using JSTOR, our discovery tool, and Google Scholar. It’s convenient, at least for now. It can be a challenge talking with faculty to talk with faculty about open access. Librarians are expanding the dialog to include focus on the role of smaller colleges (the Lever Initiative) and on why these issues are important to all students. The Right to Research Coalition has great information about why open access is important and how students can be active in advocating for it. Should research be a commodity? Should knowledge and creativity be for sale? Should authors, artists, and composers continue to give up their rights to control how their materials are used in exchange for publication in a journal which libraries pay for? Open access is a question for ethicists, economists, and everyone who produces and consumes information. If you are reading this post that includes you. I stumbled across a news article this week that was really fascinating (to me), so I thought I’d share it on the blog…and, I’ll mix in a little bit of information literacy as well. The article is about an experiment performed to see if professional musicians could tell the difference between modern-day violins (costing about $30,000) and Stradivarius violins (costing about $6 million). Here’s the news article – I’ve linked to the Guardian’s version of the article, but as you can see it’s an AP article which is available on lots of other news sites as well. The original research article was published on April 7, 2014 in PNAS (Proceedings of the National Academy of Sciences). These sorts of news articles – ones that are based off a recently-published research article – come out all the time, and provide great examples of the differences between a popular article and a scholarly article. The version from the Guardian is easy to read, has pictures, and highlights the main points well. It also has lots of advertisements and links to other catchy headlines on their website. It has no citations. It’s fairly short, too – it won’t take more than a couple of minutes to read the entire article. Now consider it against the actual research article from PNAS. As you can see, it’s quite different. There’s no pictures or advertisements, there’s a list of citations at the end, it’s much longer and not as easy to read, because it contains MUCH more detail. The reasons for these differences are simple – these two articles are meant for vastly different audiences. The newspaper article is written by a journalist for a general audience. That same journalist might be writing about the Ukraine tomorrow; on Thursday they’ll be covering the Malaysian Airlines accident. They’re not an expert on violins or designing valid research experiments, but they are an expert in producing well-written pieces that tell a story and provide a measure of objectivity. These types of articles are a great way to relax on a bench outside the Campus Center as you wind down your lunch hour, but they might not be such a good idea to cite in a term paper – and again, that’s really not what they’re designed for. The librarians here at the SMCM Library will be glad to help locate, differentiate, and cite any type of information sources you may have, or need. So feel free to stop by the reference desk or make an appointment. Happy librarying!